Purple Swamphen Porphyrio porphyrio has been split into five species by IOC 5.3 largely in accordance with Sangster 1998 and Garcia & Trewick 2015 into 5 species. These splits will be followed by OSME and means that Grey-headed Swamphen P. poliocephalus is by far the main species in the Region, comprising the nominate, caspius and seistanicus, though the validity of the last two is still debated. 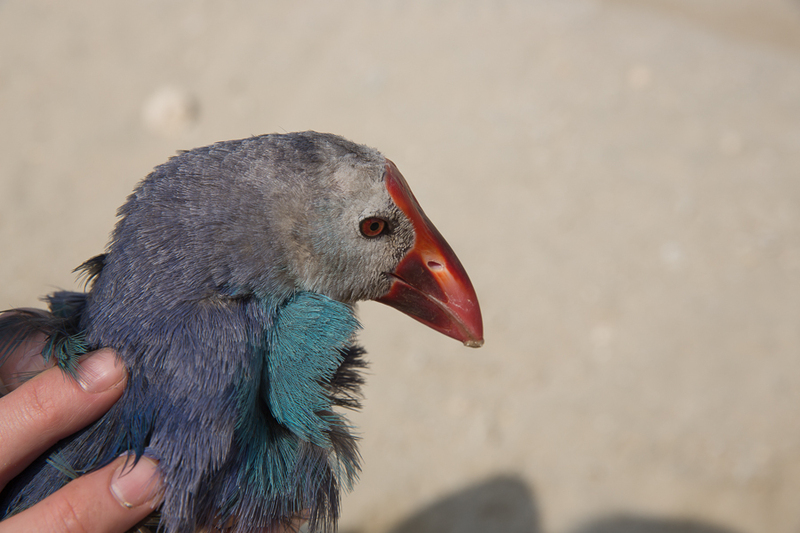 Swamphens from Saudi Arabia now comprise both breeding Grey-headed Swamphens in the Eastern Province and African Swamphen P. madagascariensis which is a Vvgrant with two records. A record of an adult at KAUST near Jeddah in September 2013 remained for at least three weeks before being killed by a car and two together at Dhahran percolation pond in December 2014 for several days. Garcia-Ramirez, JC and SA Trewick. 2015. Dispersal and speciation in purple swamphens (Rallidae: Porphyrio). Auk 132: 140-155. Sangster, G. 1998. Purple Swamp-hen is a complex of species. Dutch Birding 20:13-22.